NEWCOMFORT BY GOLDSTAR AND VALLEVERDE COMFORT, FROM THIS SEASON THEY ARE GOING TO HAVE A RENOVATED GRAPHIC DESIGN WHICH EXPRESSES A NEW STARTEGY DEDICATED TO THE HEALTCARE SECTOR AND WHICH COMES CONCRETE INTO TWO NEW BRANDS, TWO SPECIFIC LINES DESIGNED AND MADE BY THE MOST TECHNICAL-SCIENTIFIC SKILLS THAT WERE BE DEVELOPED IN OVER 40 YEARS OF RESEARCHES IN SHOE-COMFORT. 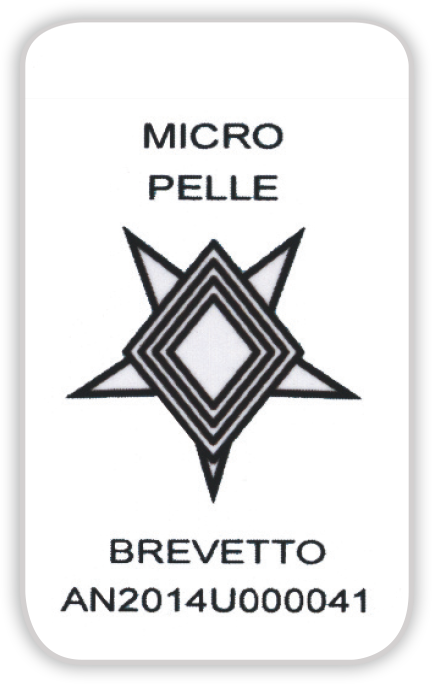 SCIENCE AND STYLE JOINS TOGETHER TO MAKE ALIVE A NEW BRAND WITH PERSONALITY AND ELEGANCE, ALTHOUGH THE RESPECT FOR THE ANATOMY OF THE FOOT AND THE GUARANTEE OF THE MOST POSSIBLE COMFORT. 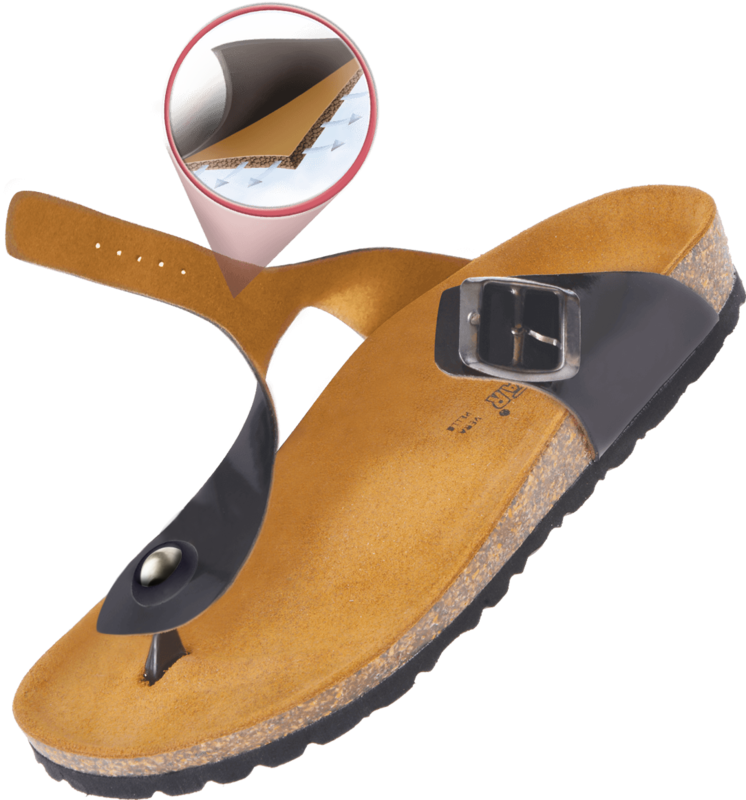 Goldelast, is the innovative shoe with the upper completely manufactured in leather and micro-cuts making your shoe elastic and adaptable to any foot. 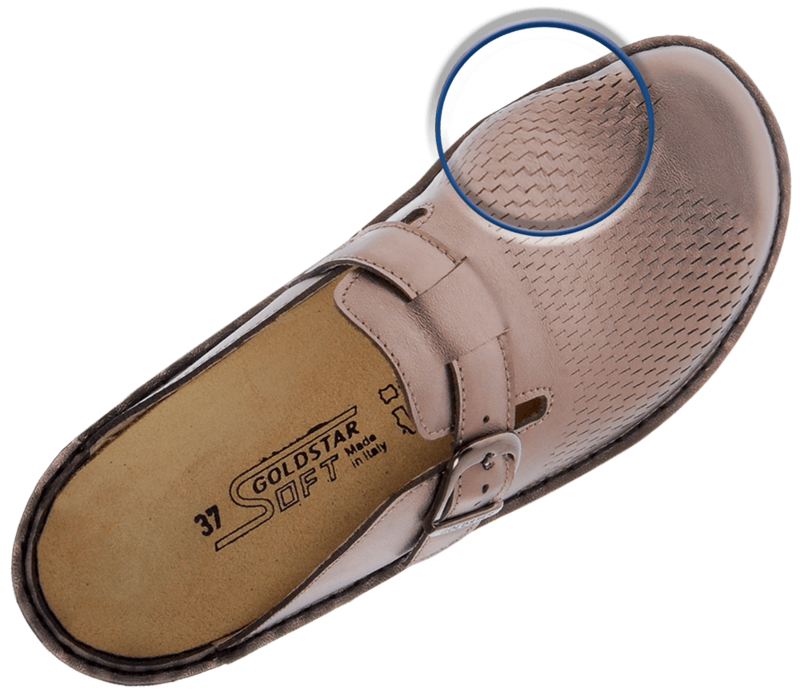 Goldelast shoes are manufactured in different models for big toe bunion and hammertoes.. Goldelast is arranged for your orthopedic insole.